Nicolas Sarkozy’s conservative Union for a Popular Movement (UMP) party and its allies have taken first place in the first round of French local elections, partial results show. Projections suggest that Marine Le Pen’s far-right National Front (FN) – despite strong gains – came second with about 25% of the vote, behind the conservatives on about 30%. President Francois Hollande’s governing Socialists came third with 21%. The results mean the second round on March 29 will see a run-off between the UMP and the FN in many constituencies. Former President Nicolas Sarkozy said outcome of the elections demonstrated “the French people’s profound desire for change”. “The conditions for a massive swing back to the right and the centre are in place,” he added. 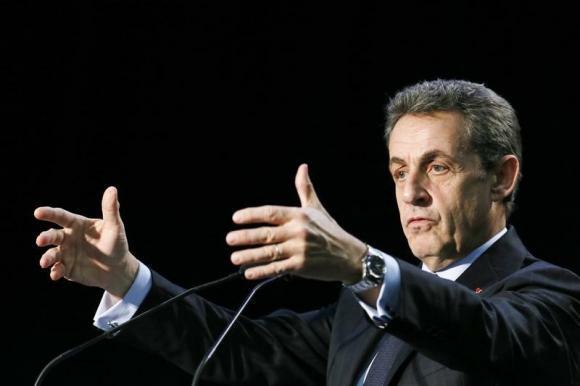 Nicolas Sarkozy also ruled out any “local or national” deals with the FN in constituencies where one of the two parties was involved in run-offs with the Socialists. In the past, voters for rival parties have rallied against the far right group in the second round of voting. The poor results for the Socialists follows on from their defeats in municipal and EU elections last year. Some polls ahead of the vote had indicated that Marine Le Pen’s FN could come top in the first round. Marine Le Pen had been hoping the elections would build momentum ahead of her expected bid for the presidency in 2017. Socialist PM Manuel Valls welcomed the news that the FN had scored less that some had predicted, saying the results showed it was not the strongest force in French politics. However, Marine Le Pen called for Manuel Valls to resign, celebrating what she said was a “massive vote” for her party, exceeding its performance in the European Parliament elections. For the first time, voters in these elections are not choosing single candidates – but pairs of candidates – one man and one woman – in order to enforce strict gender equality in local politics.